The terms overfishing and overfished are confusing because they address a similar subject. The difference between the two terms is subtle but significant. growth overfishing: where fish are harvested at a size smaller than would produce maximum yield per fish. 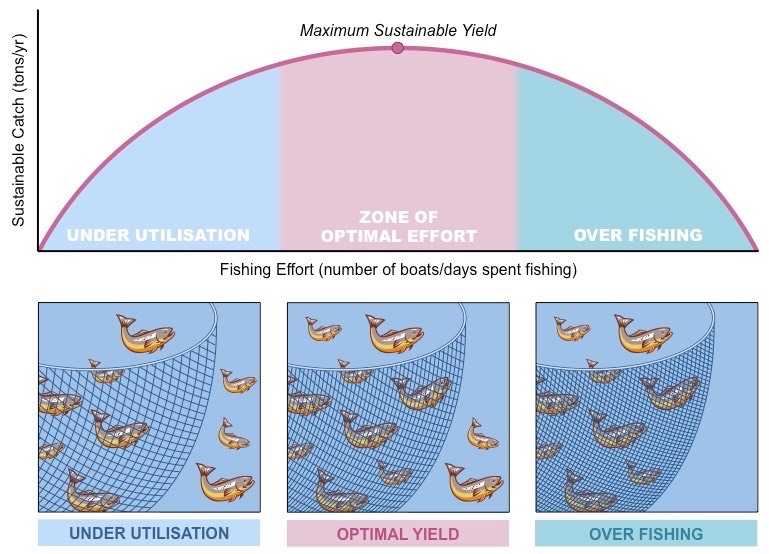 recruitment overfishing: where the reproductive capacity of a stock is diminished to a point where the spawning stock biomass is not sufficient to maintain the sustainability of a stock. 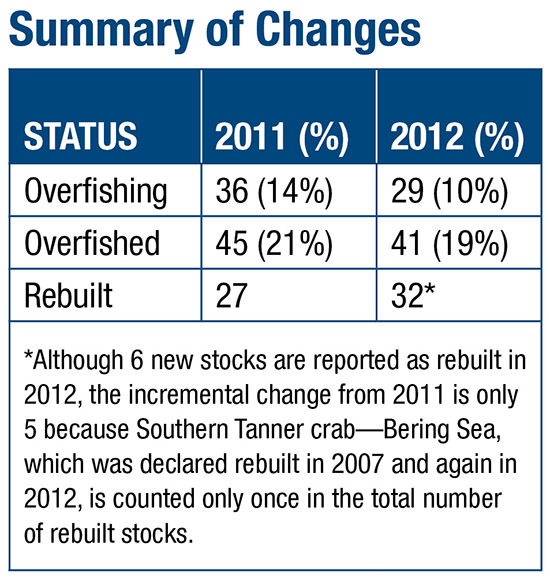 Overfished, on the other hand, is the state of a stock upon which overfishing has occurred. The stock is no longer able to produce at a maximum sustainable yield. 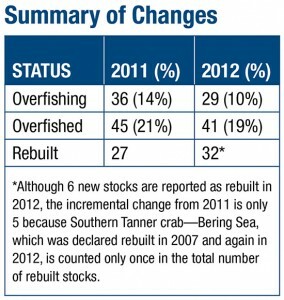 It is important to note that a stock may be overfished, but overfishing may not be occurring. 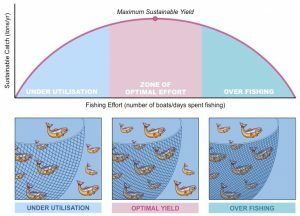 Stocks that are overfished can be managed for fishing pressure that is low enough to allow the stock to rebuild to a level to support maximum sustainable yield.